The Utah Scottish Association Highland Games took place yesterday and Friday. I was competing solo, but have a year off from band competition as we get our new Grade 4 band established. This was a good thing, because it enabled me to focus on my solo stuff and I think it paid off. As I mentioned in an earlier post, I elected to play The Rout of the MacPhees for my Piobaireachd. We had a beautiful evening for it and I was quite happy with my performance. I took 4th place, and got some good comments from the judge, John Partanen. I think a few nerves may have crept in, but overall I can’t complain! On Saturday, my pipes were sounding really good for the Slow March and 2/4 March. Amazingly (for me) I placed 3rd in my half of the draw in the 2/4 March. The organizers pulled the top 3 pipers from each half to play again and I finally finished in 4th place overall. I’m still trying to figure out what my surprise at this result shows: Am I a better piper than I thought? If so, why couldn’t I tell? I thought I did OK, but I could hear plenty of places for improvement. Or, maybe the explanation is that almost everybody else choked! Whatever is going on, I’m happy with how it turned out! Not competing in the Band competition freed me up to do a couple of other things: talk to pipers from other bands, and listen to all the Grade 4 bands quite carefully. Next year, our fledgling Grade 4 band will be competing against these guys and it’s helpful to see where we should be aiming. The verdict: It’s going to be tough, but doable. Next up, the Payson Games on July 12th and I get to do it all again! See you there. Congratulations on your showing at the games. What kind of feedback did you get from the piobaireachd judge? Sometimes judges comments can be cryptic which leaves you wondering where to go from there, but it’s always nice to get constructive criticism. 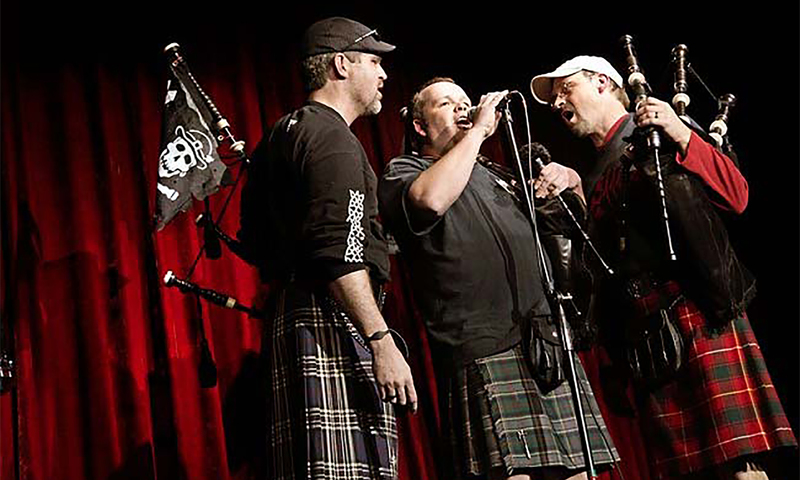 For example, in the grade 4 pipe band competition, Galloway received conflicting comments from the piping and ensemble judges for both the march and the timed medley competitions. One judge didn’t like our tempo coming into the timed medley and marked us down, while the other judge particularly complimented us on on our tempo, saying it was brisk, lively, and well controlled. One judge said our drones were out, and the other judge said our tone and tuning was excellent. One judge said the pipers weren’t playing in unison, and the other judge (probably the ensemble judge) commented that both the pipes and the drums were played very well together, particularly on the breaks. It’s almost enough to make one suspect that one of the judges had mistakenly swapped the grading sheets for one of the other band’s performance. I enjoyed chatting with you during the piobaireachd competition, and hope further interest and activities in Utah piobaireachd can be stimulated in the future. Judge Partanen made a few comments about phrasing and in particular the high A’s in the 1st variation. Justin had actually giving me some advice a few days earlier that I think added greatly to the tune. Overall I was pleased with my showing. It’s tough only to get one chance a year to play your tune. We’ll have to work on the Payson organizers! I personally thought the Galloways sounded pretty good on Saturday. Considering you guys were playing with 6 pipers, you had a bigger sound than that would suggest. Your unison playing was better than most, your tune selection was nice and for me, you had the best deportment of any band there. You all looked good entering and leaving the circle. I’m looking forward to listening again in July! Previous PostPrevious No, It’s not April 1st!